Our Massachusetts genealogists research on location. They will find and analyze the best records available to further your family history research. They can search the archives and libraries in Massachusetts, as well as help you with special requests. Massachusetts was one of the first states to be settled and as such has a long and in-depth history to explore. Our researchers are available to visit local archives and libraries to access unique record collections to help with your research. Below is a list of a few of the archives our Massachusetts researchers have access to. The National Archives at Boston contain information not only for Massachusetts, but also records from Connecticut, Maine, New Hampshire, Rhode Island, and Vermont. These include: documents on military history such as War of 1812 fortifications and World War II research from Harvard and Massachusetts Institute of Technology MIT, court records, and passenger arrival records for Boston and New England. The W. E. B. Dubois Library is one of two libraries of the University of Massachusetts Amherst. The library contains 3.6 million books, 80,000 online journals, 700,000 ebooks, and 200 databases. Their collections include church records and photographs. They also have city and business directories through 1860, with a selection of city directions dating from 1861 to the present. New England probate records held here date back to 1635. The W. E. B. Dubois Library also contains Mayflower records, dating from 1620. These Mayflower records include church and cemetery documents, histories, marriage and probate records, as well as society and town records. They also hold Mayflower passenger records. Their collection of New England land records and tax records comprise the period of 1771-1861. The Registry of Vital Records and Statistics in Massachusetts contains marriage, death, and birth records from 1926 to the present, making it an excellent research site for vital records. The registry also contains a collection of divorce records from 1952 to the present. 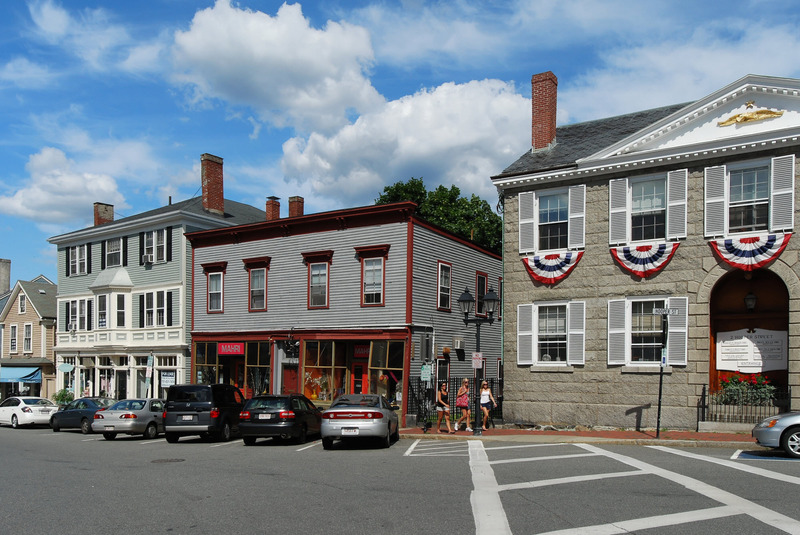 Massachusetts towns have kept vital records since 1635 and ourMassachusetts genealogists can determine where exactly you should search for your family history information. The American Antiquarian Society is well known for its collection of U.S newspapers, which contains over 18,000 volumes from 1704 to 1820. It also contains historical information on the Native American population as well as documents focusing on women. The former can be difficult for even expert genealogists to find in other locations. 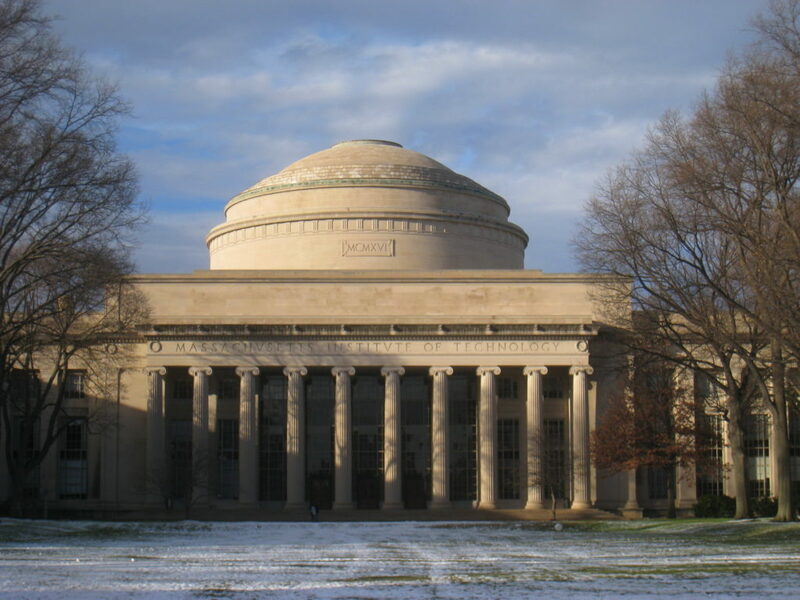 The Massachusetts Institute of Technology (MIT) was founded in 1861, shortly before the start of the American Civil War. The Massachusetts Institute of Technology Library is now home to over 3 million printed volumes. They also hold 60,000 databases and electronic journals. The Archdiocese of Boston Archives is home to records of parishes, and bishops and archbishops. They contain baptismal and marriage records up to 1930 for the archdiocese of Boston. Berkshire Athenaeum has been referred to as the best genealogical repository in western Massachusetts. Their records contain newspapers, books, and family histories, as well as the the former Pittsfield Federal Records Center’s collection. Said collection contains 71,000 microfilms of censuses, Revolutionary War pension and bounty land warrants, service records from 1784-1901, the Mexican War, the Civil War, and World War I. These records also focus on immigration data such as passenger arrivals at Boston, New York, Philadelphia and east coast ports, Â as well as Canadian border crossings. The Boston Massachusetts Family History Center is the largest Family History Center in New England and has access to the microfilm collection in the Salt Lake Family History Library. The Dedham Historical Society Library has a collection that focuses on documents from the 15 towns created from old Dedham with deeds, vital resources, and town records. The Haverhill Public Library is one of the largest collections of original manuscripts, books, genealogical periodicals, etc. They also have Massachusetts vital records to 1910 and over 9,000 New England town and family histories. The Jones Library’s Boltwood Collection includes 20,000 documents on genealogies and family histories, with an emphasis on the town of Amherst and the Pioneer Valley. The Peabody Essex Museum contains government records such as probate records, customs records, and maritime records. They are also known for their knowledge of trans-Atlantic ship logs and ship images. 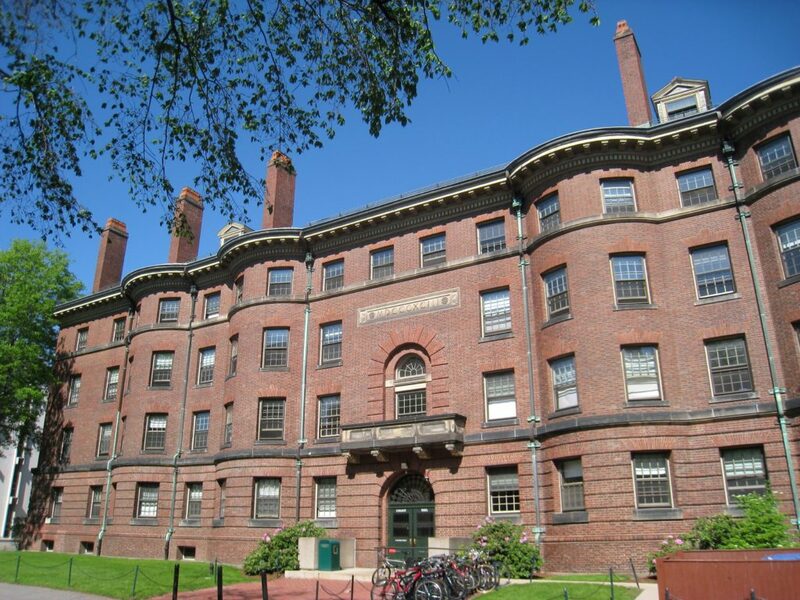 Established in 1636, Harvard is the oldest institution of higher education in the United States. The Harvard University Libraries contain more than 375 books of life at Harvard in the 17th and 18th centuries. It holds diaries and scientific observations. The Plymouth Public Library contains almost all known published genealogies and family histories of the early Massachusetts settlers. The Springfield History Library and Archives can be used by genealogists to track information on Massachusetts residents who later emigrated west. There are also French Canadian records and documents that detail immigration to New York. Overall their collection contains 20,000 genealogy books, 6,000 microfilms, 50,000 photos and 2.5 million manuscripts including diaries and account books. Our Boston Massachusetts genealogists are available to visit the local archives and libraries in the city to further your research. Some of the repositories they are able to visit in Boston are listed below. The Massachusetts Historical Society is an excellent research resource that includes original town records, newspapers, and genealogies. Their collection is unique from the New England Historic Genealogical Society’s. The society houses a collection of letters written by every United States President from George Washington to George H. W. Bush. They also hold the largest collection of Thomas Jefferson’s private papers. The New England Historic Genealogical Society is known as the best overall collection for New England vital records and probates. Additionally they also contain records from other countries such as Canada, Great Britain, and Ireland. Their manuscript collection, which is only available for members, has diaries, account books, business papers, church and town records, as well as wills and deeds. The Massachusetts State Archives contain government records, censuses, military records, land records, naturalization records, divorces, probates, name changes, and adoptions. They also have 328 volumes of the Massachusetts Archives Collection, aka Felt Collection, of 1629-1799 history. Only 18 of these are available online. The archives also include birth, marriage, and death records (1841-1920), history records of Massachusetts from 1600, census schedules (1855-1865), Plymouth Colony wills and deeds. Other collections include military records (1643 -1775), naturalization records (1885-1931, divorces (1629-1921), probate records from the 1630s, property deeds (1629-1800), passenger lists (1848-1891), as well as African-American and Native American records. The Massachusetts State Library‘s collection includes, just to name a few examples, historical maps, an index of Boston newspapers from 1878 to 1937, and tax records from the 1600s to 1811. The Boston City Archives are a repository for official records pertaining to Boston. The archives hold records for over 60 government entities and departments. Among the collections at the archives are city council records, Transit Department records, and City Treasury records. Records relating to immigration and poverty during the time of the Irish Famine can be found here as well. Documents of Boston’s role in the American Civil War are also held in the archives. The University of Massachusetts Boston Library (Healey Library) house the University Archives and Special Collections Department. Documents pertaining to the university and Massachusetts history can be obtained here. The Boston Public Library houses an extensive newspaper collection for titles published throughout Massachusetts, as well as other locations in the United States. They also host an online obituary index to the Boston Globe and Boston Herald for 1953 to 2010. City directories for towns throughout the state are held in the library as well. Boston is the home to one of the branches of the American Jewish Historical Society. They work to illuminate American Jewish history through their archival treasures and impressive exhibits. They have collected many documents on the Jewish population in Boston throughout history. These documents include information on synagogues from the early 1900s to the 1990s and records of synagogue councils from 1948 and 1959-1996. Those searching for records of ancestors that traveled on the Mayflower will find the Massachusetts Society of Mayflower Descendants the perfect collection to search for information. Our genealogists can examine the information on each lineage belonging to the 128 original passengers from the 1600’s to 1992. Each application to the society includes the applicant’s full name, birth date, birth place, and the birth, death, and marriage dates of their ancestors. Sometimes information on the applicant’s siblings can also be found. Our Massachusetts genealogists specialize in researching several types of documentation and are not limited to the list above. For more information or specific inquiries about our genealogists, please feel free to contact us.